Have you just been accepted to a new recruit class? If so, this is the bag for you. 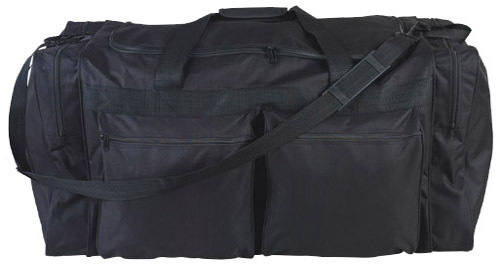 Made of easy-to-clean 840 denier polyester, this extra-large bag has ample room to store and carry all the gear and study material you will be required to have. Features include an adjustable shoulder strap and four exterior pockets. • Two side pockets that measure 3" L x 13" W x 16" H.
• Two larger pockets on front that measure 3" L x 11" W x 11" H.